you will succumb in every battle." 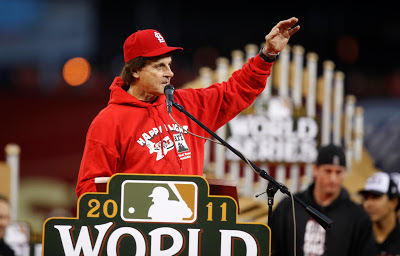 What I can tell you is this, and I believe it: Roland Hemond -- the most beloved guy still alive in baseball -- once told me, "If you have true chemistry on your team, it will be like tomorrow I added a superstar to your roster -- a twenty-game winner, a top closer, or a 30/30/30 middle-of-the-lineup hitter." Would that help your team? Oh yeah, it would, and over the years there's not doubt in my mind that chemistry contributes or detracts to that significant of a degree. 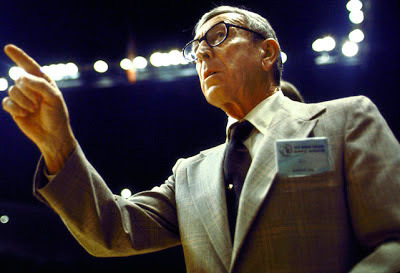 When his teams first practiced shooting or dribbling, John Wooden often made his players work without the ball. "One of the challenges I faced during practice," he wrote in Wooden On Leadership, "was the distraction caused by a player's natural instinct and desire to score baskets or grab rebounds. Either urge is such a powerful siren song that it's hard to make them pay attention and learn the 'dull' fundamentals that ensure success in scoring and rebounding -- such things as pivoting, hand and arm movement, and routes on plays." Wooden called the seductive draw of things that recall the drama of performance too directly on intensely "catnip," because they can drive participants to distraction. While our instincts often tell us to recreate those situations to make practice more useful, he tried to remove them during the learning process. I loved this blog post by Donald Miller...make sure you click here to read the entire blog...it's worth the read! If you share yourself with the world you’re going to be criticized. The world may seem like a nice, safe, warm place, but as soon as you put yourself out there’s a good chance you’ll be a target for criticism. So how do you survive it? How do you keep putting yourself out there? 1. Understand that great ideas and works of art get criticized just as much as bad ones. Michelangelo, Mark Twain, Martin Luther King and Abraham Lincoln were ferociously criticized. Receiving criticism doesn’t mean you’ve done great work, but it doesn’t mean you haven’t, either. Everything out there gets criticized, good or bad. 2. Keep your moral center. Know in your mind and heart whether what you are writing, painting, singing or filming is good for the world. And be able to articulate why. Come back to this when you’re beginning to doubt the importance of your work. 3. Love your enemies. Most criticism is actually good, but the criticism that hurts the most come from people who want to tear you down, personally. The positive side of this kind of criticism is it presents you with a challenge. Can you love somebody who wants to harm you? If you can, it only proves what you’re bringing to the world is revolutionary, and perhaps even divine. Fear and hate are common. For a person to love their enemies, there’s little explanation save the involvement of God. 4. Limit your enemies. It’ll do no good to constantly search the internet for people writing about your new album. I normally read the first several Amazon reviews and that’s about it. I just want to make sure what I wrote is landing well. After that, I see little benefit to reading reviews. If I’m reading reviews, I’m not working on what’s next. 5. Realize there aren’t that many critics. Likely, for every critic you get you’ll encounter a lot of people who needed and received your help. You either encouraged them or inspired them, made them laugh or just offered your art for their comfort. Just keep working for them. 6. Learn from the constructive critics. One of the most encouraging afternoons of my career was going on Rotten Tomatoes and reading through the negative criticism of the film Blue Like Jazz. It was scary at first, but I realized so much of that the critics were saying I felt as I was working on the screenplay. I wanted to go further, but was too scared. The critics affirmed, indeed, I was too scared. The constructive critics can speak the truth and you are somehow encouraged. They can help you become a better artist. 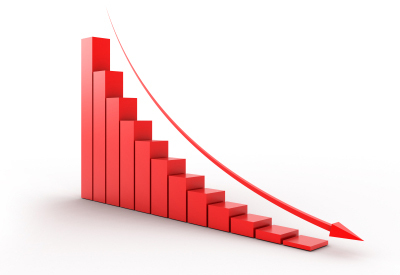 IS YOUR PROGRAM IN DECLINE? How do you know a team, company, or country is on the slippery slope of decline and needs a culture shift? I found nine universal warning signs of change-in-the-wrong direction in research for my book Confidence, which compared downward spirals with the momentum of success. The good news is that they are all reversible. Watching out for these behaviors is the first step toward building better habits. Communication decreases. The first seeds are sown when information stops flowing, People avoid conversation and close their doors. Decisions are made in secret. People mistrust official statements. Gossip substitutes for the full facts. Criticism and blame increase. People are dressed down in public. They make excuses for themselves and point their fingers at someone else. Scapegoats are sacrificed. Self-doubt is masked by attack. External forces are blamed, personal responsibility avoided. Respect decreases. 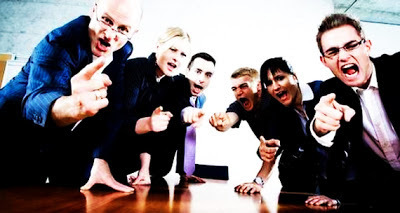 Constant criticism makes people feel surrounded by a bunch of losers. They feel that low performance is common, and deadwood is tolerated. Everyone expects the worst of everyone else — and says so. Isolation increases. People retreat into their own corners or subgroups, suspicious of others and unwilling to engage with them. Withdrawing from contact further isolates them, encouraging others to back away too. Silos harden. Focus turns inward. People become self-absorbed and lose sight of the wider context — customers, constituencies, markets, or the world. What's going on inside becomes more important than any external goal. Rifts widen and inequities grow. Internal rivalries escalate into gang warfare. A few stars become a privileged elite, claiming disproportionate attention, resources, and opportunities. Power differentials and social distance between groups and levels make collaboration difficult. People hoard resources for their own use. The less there is to go around, the greater the temptation to play favorites or get more for one's own group. Aspirations diminish. People stop believing that progress is possible. They are willing to settle for mediocrity. They want to minimize risk rather than to look for big improvements. "Defensive pessimism" sets in; that is, lowering expectations to cope with anxiety in risky situations. You might not see absenteeism, but there is "presenteeism," which means the body is there but the mind is absent. Initiative decreases. Discredited and demoralized, people become paralyzed by anxiety. Believing that nothing will ever change, people go passive, following routines but not taking initiative even on small things, and certainly not seeking innovation or change. Policies and processes are perceived to be ingrained and inevitable, shutting off new ideas. Negativity spreads. In an emotional chain reaction, pervasive negativity fuels further decline. The culture permits selfishness, greed, mistrust, disrespect, petty turf battles, and excuses instead of action. Coach Don Meyer once told a story about Larry Bird playing H-O-R-S-E against 10-day contract guys for paychecks. Coach Meyer said that Bird wins and a rookie walks by his locker to hand his check over. Bird doesn’t want his check and the rookie glances into Bird’s locker. On the top shelf is 5 or 6 uncashed paychecks. The subject of "culture" is very important to me and my belief in terms of successful programs. I am actually currently writing a book on that subject. 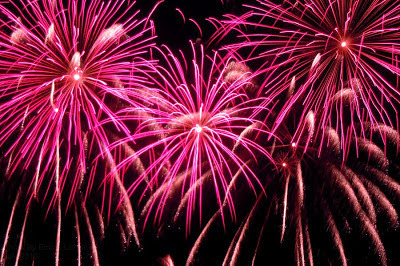 At Leadership Freak, they talk about the importance of celebrations to create and maintain culture and it's critically important. As a very small example, let's go the video room with our team. It is easy -- and yes, necessary, to watch clips of your team making mistakes. You view it over and over and explain to the players involved and your team, what is wrong, why it is wrong and how you must correct it. But I find it equally important -- maybe more so, that you show clips of good execution -- and show that over and over and tell them why it is important and why it was successful -- and celebrate it -- make them feel good about doing it right! Don't assume that just because they did something right that they know they did it right! A favorite Don Meyer phrase is "Catch them doing something right." This obviously goes towards games but also to practice and even all phases including weight lifting, conditioning, academics and their social life. Coach Meyer goes on to say that you shouldn't just compliment them on them doing something right but tell them why it was right -- it will help them to store it in their mind to continue to do it correctly. For instance, a post player goes down to screen to get a teammate open for a shot. You don't say, "Sally, good screen." 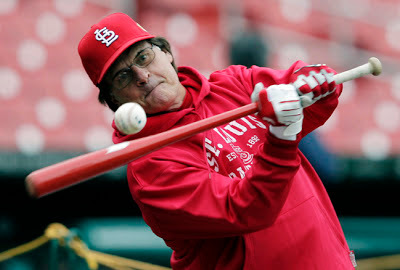 You should say "Sally, good job of getting your back to the ball on that screening angle. That's why we got that great shot." Now Sally knows that she did something right and more importantly, she knows how she did it. And hopefully, her teammates are listening and pick up on it as well. Hate your work environment? Build rather than tear down. Whining reinforces negative environments. 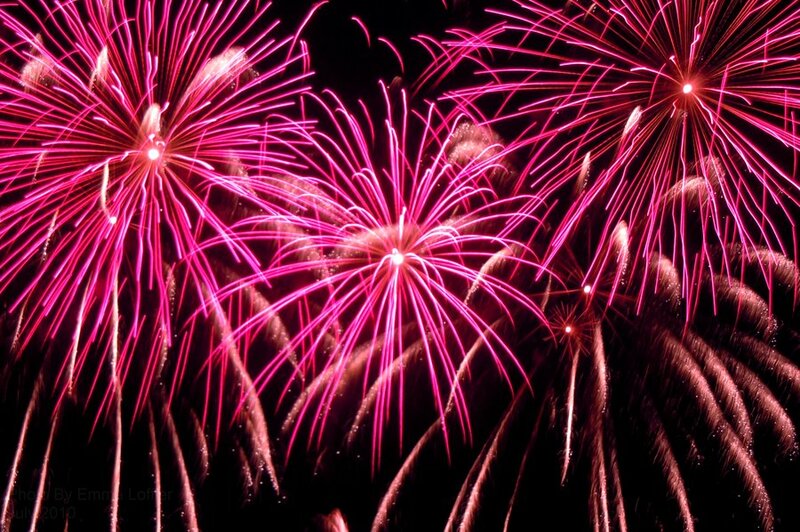 Celebrations build and reinforce positive environments. 2. What needs to be fixed? Negative celebrations build negative environments. Ask these questions to colleagues and employees. 1. What qualities do you respect in those around you? 2. What do you love about your job? End every meeting with affirmations, congratulations, and recognition. Saying, “Great job,” keeps everyone doing a great job. Power tip: Let small celebrations stand on their own. Little negatives at the end drain positives of their power. 2) Be creative and ruthless in self-testing. 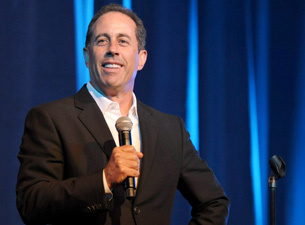 Create challenges and seek out obstacles Seinfeld prefers tiny, difficult audiences to large, adoring ones. Because that’s the best way to expose weakness — which is exactly the point, so you can see what’s working, what’s not, and where to go next. They are your lab. 3) Learn from parallel crafts: in the space of this piece, Seinfeld compares his joke-writing process to baseball, high-end car design, samurai, calligraphy, and the art of cricket-cage building. The point is, he’s constantly trying to view his profession through different lenses, in order to understand it more deeply. My working definition of leadership is this: the art and science of influencing others to willingly follow. The key word is willingly. In the working world, people have the choice to follow, sort of. To sort of do what the leader wants, to sort of make an effort to achieve the mission. That’s the worst kind of follower. People who sort of put in an effort not only reduce the chances of success but they require more attention and energy from leadership than they’re worth. In the New Normal, willingness is everything. That’s because the old command-and-control system just doesn’t work anymore. Napoleon said, “Men are moved by two levers only: fear and self-interest.” True, but fear and self-interest don’t have much staying power. Followers either overcome fear or grow numb to it, and self-interest is tied to the highest bidder. Fear and self-interest are short-term motivators, and leaders have long-term problems. Leaders have to live up to the ideals of the organization they lead. When it appears they don’t, nobody will follow them. If the leader talks about discipline, but doesn’t demonstrate discipline himself, he won’t have followers. Ultimately, people are looking for somebody who is respectable – not just somebody who’s loud. No great change comes without leadership. 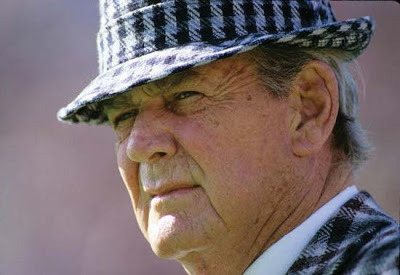 BEAR: "LITTLE THINGS" & "PREPARATION"
In a Bear Bryant mood today, inspired by Pat Williams' book "Bear Bryant on Leadership." We came across this video of Coach Bryant talking to one of his freshmen classes -- speaking of "little things" and "preparation" as being key to get the maximum out of your ability. the door you didn't have to wonder what he meant. It was clear, and he meant it." He closed the team meeting with "It's an honor and privilege to be your coach." The following is a great list for assistant coaches to help their head coaches. 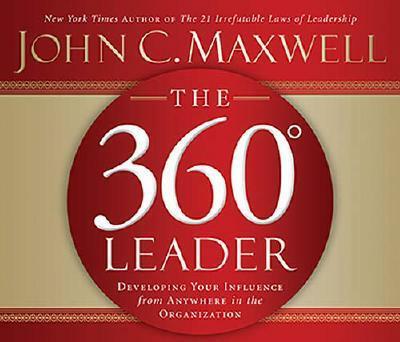 It comes from John Maxwell's book "360 Degree Leadership." This is a great book for all to read, especially assistant coaches. It talks about our ability to lead others no matter where we are in the organizational chain. As Don Meyer would say, "You may not be the leader but you can be a leader." Here is a list from Maxwell on things we can do to lighten the load on the primary leader. I've certainly written many blog posts on the subject of "culture." I'm a big believer in it because I've seen firsthand how powerful it can be. I think as coaches we would all like to have a certain culture attached to our program -- but do we work daily to create and build upon the culture we desire. It's like players that would like to improve but don't put the time and energy necessary to achieve the desired results. Culture -- successful, team driven culture -- is difficult and is something that you must think about daily just as you would your practice plans or recruiting strategies. 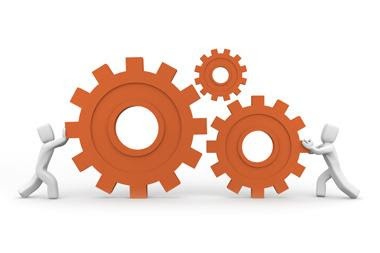 The maintenance of a culture is an ongoing process that requires regular effort. The effort is worthwhile, though, particularly when you take into account just how much culture dictates behavior, focus, ethic, and results. Culture is a powerful component of every organization, and to a certain extend it takes on a life of its own. Leadership and culture are intimately woven together, continually impacting and influencing each other. But leadership has a greater impact on culture than culture does on leadership, and as the leader of a team, you are a steward of its culture, an ambassador with the responsibility and power to influence and safeguard a culture of excellence. This will be our last post until after Christmas. Since we started this blog, we have made this our annual Christmas post. 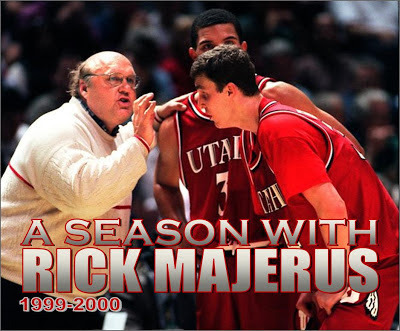 For those that are long-time readers of HoopThoughts, you've seen this each year at this time. It is a motivational passout that Coach Dale Brown would mail out each December. It speaks to our ability to teach...not teaching subjects (or plays)...but teaching students (and players) -- and there is a big difference. 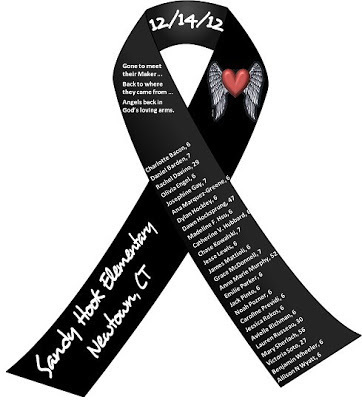 This year, I'd not only like to dedicate it to all those that teach but specifically to the teachers, administrators, and their families that died in the Newtown, Connecticut shootings. 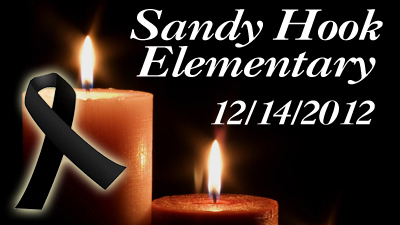 And I would equally like to dedicate to those teachers and administrators in Newtown that displayed remarkable courage and ingenuity to save so many other lives and must now show even more courage in helping rebuild their school. They exemplify all that is great and special in teachers. Enjoy and may you all have a wonderful holiday season! In other cultures and languages, coaches are known by many different names and titles. In Japan, a "sensei" is one who has gone father down the path. In martial arts, it is the designation for master. In Sanskrit, a "guru" is one with great knowledge and wisdom. "Gu" means darkness and "ru" means light -- a guru takes someone from the darkness into the light. In Tibet, a "lama" is one with spirituality and authority to teach. In Tibetan Buddhism, the Dalai Lama is the highest-ranking teacher. In Italy, a "maestro" is a master teacher of music. It is short for 'maestro de cappella," meaning master of the chapel. In France, a "tutor" is a private teacher. The term dates to the fourteenth century and refers to one who served as a watchman. In England, a "guide" is one who knows and show the way. It denotes the ability to see and point out the better course. In Greece, a "mentor" is a wise and trusted advisor. In "The Odyssey," Homer's Mentor was a protective and supportive counselor. All these words describe the same role: one who goes before and shows the way. No matter what word you use to describe them, coaches make a difference in others' lives. They help them grow. They improve their potential. They increase their productivity. They are essential to helping people effect positive change. As my friend Andy Stanley says in "The Next Generation Leader," "You will never maximize your potential in any area without coaching. It is impossible. You may be good. You may be even better than everyone else. But without outside input you will never be as good as you could be. We all do better when somebody is watching and evaluating...Self-evaluation is helpful, but evaluation from someone else is essential. One of my favorite sites to visit is CoachGeorgeRaveling.com. I've always admired Coach Raveling -- starting back when I was a very young coach and purchased a motivation cassette of his titled "If It Is To Be, It Is Up To Me" -- a slogan that we had placed on t-shirts for one of my first high school teams. His book "War On The Boards" is still one of the best on rebounding. If you haven't had the chance, go visit his sight. At a clinic I attended about three decades ago, I heard a head coach say that his assistants’ jobs were to “make my life easier.” That’s right only so long as your program exists for and revolves around your head coach. Nearly every (other) coach I know feels that the job of every coach is to make your program as successful as it can possibly be. 1 – Loyalty: if you work for a man, work for him (or her). A head coach has many concerns and responsibilities – worrying about whether he (or she) can trust you shouldn’t be one of them. 2 – Recruit: not just sign players but players who can play for your head coach, e.g. a) does your guy “break players down to build them back up?” Be careful when recruiting a sensitive, spoiled kid. b) do you use a double low post offense? If so, don’t recruit a high post player. c) do you run dribble-drive? Make sure you’re recruiting guys who can create their own shot and don’t try to sign a post player who is used to being the focal point of the offense. d) evaluation is key Forget the rep and the scouting services; no one ought to know whether the kid can play for you better than you. 3 – Don’t be a “yes man.” It might seem as though the head coach wants or needs agreement, but not making suggestions you believe in – even if your head guy feels otherwise just means you can ride with him/her out of town when the pink slip is issued. You can disagree without being disagreeable. Push hard for your beliefs, explain why you feel that way but know when to surrender and be united when a decision is made. 4 – Be as low maintenance as possible. Being self-sufficient frees everyone else to do their jobs. Coaching in college has become such a tenuous position; head coaches are given less time (but more money); ancillary issues only take away from a staff’s effectiveness. 5 – Scouting: on many staffs, the games are split among the assistants. You need to be able to break down opponents’ games to give your team “advance knowledge” of what to expect. The ability to a) understand opponents’ personnel and tendencies and b) be able to pass that information on to your players (or what good is it?) in a short amount of time. 6 – End-of-game situations: thoroughly understanding (quickly) what your team’s philosophy is in the final minutes, depending on the several factors, especially if the game is your scout. It is the one time in a game in which you may have the greatest impact. Most coaches (and many fans) will remember Game 4 of last year’s NBA Finals. Russell Westbrook was having the game of his life with 43 points. He’d scored 17 of the Thunder’s 23 points in the fourth quarter, including 13 in a row. The Thunder were down three with 17 seconds to go but there were only 5 seconds on the Heat’s shot clock so even though the they controlled the tip, just five seconds of good D and the Thunder would have had a chance to tie. Inexplicably, Westbrook intentionally fouled Mario Chalmers. The debate was, “Who’s fault: Westbrook or head coach Scott Brooks?” Sure, Westbrook is an NBA player who ought to know time and score. Yet, he was in that zone players get and, sometimes, that can include a mental lapse. So, was Brooks to blame? As a head coach he was thinking of what three point they needed to run once they got the ball. The mistake was the assistants! At least one of them should have known and relayed the information to Westbrook. If all assistants are going to do is yell and cheer, they may as well have pom-poms. 7 – Be the players’ confidante: with 12-15 players on a team, there’s never enough playing time to go around and it would be a first if every player was satisfied with their minutes. It’s so easy to blame the head coach. The assistant has to be a good listener – to the player, high school coach, parents (or whoever helped with the recruitment process) – but also need to “tell it like it is” – in an empathetic manner. In addition, there are home sick problems, roommate situations, girlfriend/boyfriend issues, whatever. A good assistant solves the problems – gracefully, legally and truthfully – so they seldom, if ever, reach the head coach. 8 – Handle the BS: there are scores of people and groups who “want a piece” of the head coach. Many of them can be dealt with by an assistant but nobody wants to deal with just a #2, 3 or 4. The assistant must be able to take care of such items so the person will be satisfied. The head coach must be able to use the greater majority of the time on the vital items: practice time, recruiting calls or correspondence, media interviews, etc. 9 – Represent your school in a positive, dignified manner: with the invention of the Internet, all bets are off! There’s no such thing as being anonymous. Nowadays, any slip up, be it a confrontation with an obnoxious fan, a humorous but off color email, driving after you’ve had a couple of beers and probably aren’t over the limit (but might be close), trouble in your personal life – anything – makes for a good story or, worse yet, a budding writer’s breakthrough. Your integrity must be above reproach. 10 – Ability to improve players’ performance: many programs have workout guys, strength & conditioning personnel. The game shouldn’t become so specialized that assistants shouldn’t be able to help kids they recruited and have great relationships with get closer to their potential. Make sure they reach their academic potential as well, even if it’s staying in close touch with the academic counselors and tutors. 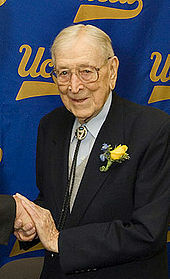 Former UCLA Head Basketball Coach John Wooden, the only collegiate coach to win 10 NCAA National Championships, is considered by many to be the greatest coach in the history of all sports. 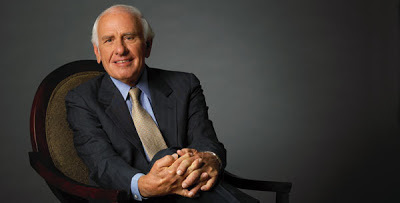 More than a dozen leadership books are based on his teachings, and his admirers include some of today’s most successful coaches, like two-time Super Bowl Champion Tom Coughlin of the New York Giants. Coughlin and many others employ the techniques taught in Wooden’s Pyramid of Success, a 15-step process designed to foster attributes of true leadership. But if there were a perfect formula for leadership, everyone would follow it. So what do coaches like Nick Saban, Rick Pitino, and Vince Lombardi do that others don’t? What attributes make them not just good, but great? While it’s impossible to say exactly what works, there are four characteristics that nearly all great leaders share. Athletes have to work at things, and coaches must convince others why they should work—fostering a belief within them that their work matters. Whether coach oversees a 12-man basketball squad or a 65-man football roster, each player is an individual, and each has his or her own agenda. A coach must mold the players together and convince them to do things for the good of the team—and not just the really talented guys. 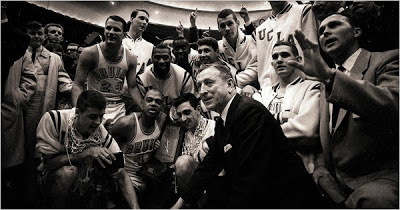 In fact, one of the things that made John Wooden such a successful basketball coach was his ability to reach his bench players and get them to perform. Wooden’s teams weren’t just about the five starters. The other seven guys made important contributions—and everyone knew it. Great coaches are able to win others over to their way of thinking, a feat that wouldn’t be possible if they didn’t truly believe in themselves and possess the confidence that they can get the job done. 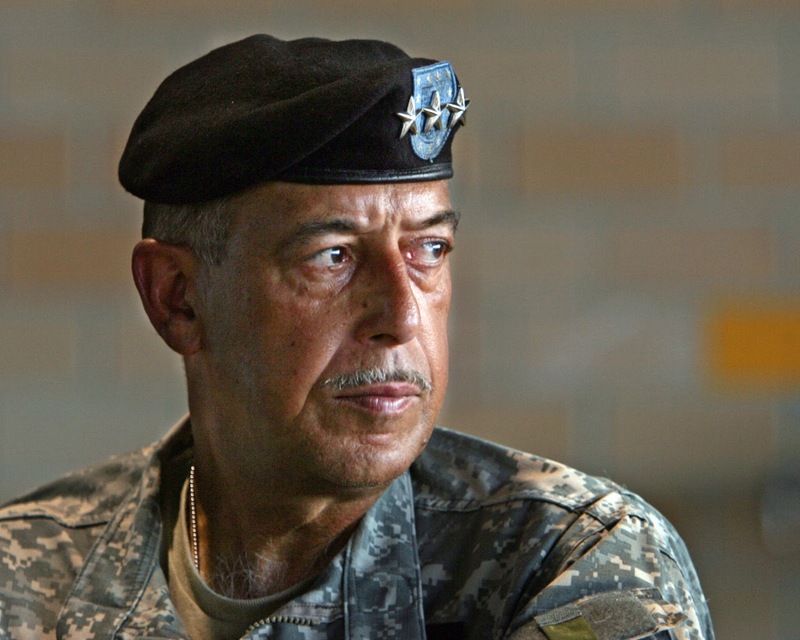 Dictators have “yes men,” but great leaders seek differing opinions. Coaches often have mentors or confidants who are willing to tell them “no” and bring them back down to earth. Nick Saban and New England Patriots Coach Bill Belichick both have said that their fathers played this role. Other top coaches, like Ohio State head football coach Urban Meyer, credits a former coach for his leadership style. Don Yaeger is a 7-time New York Times bestselling author and former Sports Illustrated editor who’s spent his career researching greatness and leadership. What he found is summed up in his 16 Characteristics of Greatness—a road map for those who truly want to be successful. He says a key attribute of winning leaders is that they see themselves as winners, all the time. 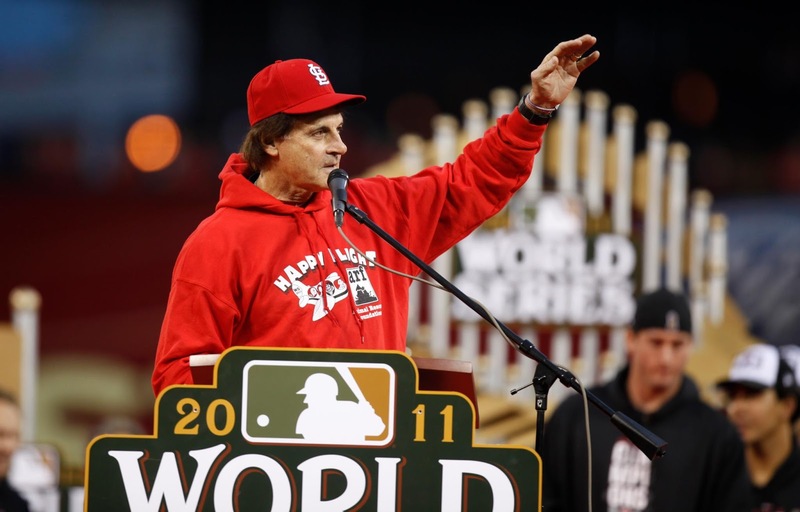 "The greatest leaders in sports are able to visualize victory even before the game starts," Yaeger says. But when it comes to success, “seeing” and “believing” are just part of the equation. What great coaches understand is that visualization must be backed up with real world hard work. Preparation only comes through practice, and men like Coach Wooden were willing to put in the work—and convince his players to do the same. “But more than that, [Wooden] was more prepared than anyone else in the room." Yaeger said. The best coaches are often the best teachers. They take great pride in the practices -- which are well designed and often take more time to construct than to execute. It takes time to develop a great practice plan because of the "intentionality" of selecting the drills that are necessary to improve upon the habits of your team. What is important to the success of your system? I've always made the comment that while watching video and scouting a team, you could tell what is important to another coach and therefore select what she drills and emphasized in her practices. 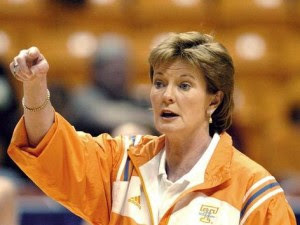 One of the first examples that comes to mind would be offensive rebounding by Tennessee under coach Pat Summitt. No team that I've coached against hit the offensive boards that way a Summitt-coached team did. Without ever attending a Lady Vol practice I can guarantee that it was something that was worked on in drills...that it was something that was emphasized in whole method play...that it was something that she talked to her team about constantly -- in practice, in the locker room, in timeouts, and the video room. She was intentional in teaching it and emphasizing. There are two things that the master teacher does in creating habits. He is "process oriented" -- he knows it is in the details of the specific skills that makes it effective or not effective. You just don't tell a player to block out. You teach them the specific footwork, handwork, and timing to successfully blockout. The second thing a master teacher excels in is in the "emphasis" of what is important. 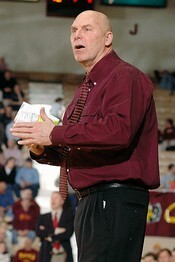 One of my favorite Don Meyer quotes is that "It isn't what you teach, it's what you emphasize." Making it important in the mind of your players creates an increased focus for them. It is more accurate to say that practice makes permanent IN practice you can master a skill thoroughly or not at all, and what you master can be the correct method of one where you knees are locked. Either way, what you don is likely to become encoded -- it will be instilled in muscle memory or mental circuitry and become habit -- for better or worse. Practice all the wrong moves and your team will execute the wrong moves when it's time to perform. Practice without intentionality and you will perform without much intentionality. A critical goal of practice, then, should be ensuring that participants encode success -- that they practice getting it right -- whatever "it" might be. While that may sound obvious, practice that encoded failure is common. There are a lot of reasons for this, but two seem especially pervasive. First we can fail to observe our practices carefully and strategically enough to see whether participants are getting things right, and second we can put participants in situations that make failure likely in a mistaken effort to steepen the learning curve. Running effective practice requires a systematic attentiveness to particpants' rate of success. "You haven't taught it until they've learned it," Wooden liked to say, and the best teachers test to see how much students have learned -- a process called "checking for understanding" -- every few seconds. Practice should be designed so that a participant who fails to succeed at an activity tries it over again. ARE YOU BUILDING A LEGACY TEAM? One of my favorite followings on twitter is @TomFlick. Tom is a former NFL quarterback that is now a sought after speaker and an expert on leadership and team building. His blog is also a frequent stop for me as well. Here is one of his posts on what makes up a "Legacy Team." There are seven prerequisites that make up a legacy team. 1. On legacy teams, lifetime friendships are formed. After years pass and the team disbands, one day you could end up eating at a restaurant and see a former teammate across the room—and because of the lifetime friendship that was formed from being legacy teammates, you have deep mutual respect and love for that person. I was recently at the Orlando International Airport and spotted a former college teammate of mine whom I hadn’t seen in fifteen years. We were across the concourse from each other, and after making eye contact; we made a beeline toward each other and embraced. He happens to be six feet, ve inches tall, weighs 270 pounds, and is black. I’m six feet, three inches tall, weigh 175 pounds, and am white, but all that doesn’t matter. We were legacy teammates at the University of Washington and have a deep mutual respect and enduring love for one another. 2. On a legacy team there is a shared joy of the inner circle, which means it’s selective, restrictive, limited to team members only. You’ll have a hard time explaining your legacy team experience to your spouse, your neighbor, or your friend outside of work. People often say to me, “That sounds pretty exclusive,” and my response is, “Exactly!” That’s exactly what it’s supposed o be – exclusive! 3. On a legacy team there is accountability, personal responsibility, and reliability for the work that needs to be done. Legacy most talented members aren’t your hardest workers. 4. There is a good pride that is alive on a legacy team because teammates understand that the sum is always greater than any individual part. The opposite, of course, is bad pride. Bad pride is false pride and breeds a sense of entitlement—where rules don’t apply to me. Team members with bad pride don’t work hard—they save themselves. Bad pride creates people who are invested when it helps them, and yet you’ll nd they are the ones who criticize quickly and make excuses often. All that matters is what they get out of it. Bad pride is ugly for everyone, and it kills the team. 6. The last two characteristics of a legacy team are the lynchpins. Legacy teams are built around the committed. A legacy team allows only the committed on their team. No selective participants allowed. Selective participants are those who form subgroups and cliques and have their own niche. The committed understand that we are all in this canoe together, all rowing in the same direction, with all we have to give. Legacy team members are all-in, going all-out. 7. Lastly, all roles are honored as equal. If you’re a sales executive who is out front and receives the bigger paycheck, remember that those people who work in the o ce, who answer the phones, who do the ful llment work, who are marketing the business, are equally important. NFL quarterbacks get their name in the paper every game because they throw touchdowns and lead their team. But the o ensive linemen, who scrap and ght it out in the trenches to protect the quarterback, are rarely ever mentioned in the paper, yet they’re equally important. For years, what we’d always done as a coaching staff – equipment men to video guys, the strength and fitness coach, public relations people, the director of travel, everybody – was to personalize our relationships with the players. Whoever you were, my coaching and I wanted to establish a relationship with you. Not every player is the same, and not every position they play is the same. Our goal was to create an environment where the ballplayer looked forward to coming to work and knew that a bunch of people were trying to put him and his teammates in the best position to succeed. You demonstrate that effort in a lot of ways – the strength of the drills, the quality of the facilities, the care and attention paid to every part of the workday – all of it adds up to a big positive. Whether a guy is on a hot streak or going through a slump, we want him to anticipate coming to the park knowing that he has our full support. Toward the end of my White Sox years and early in with the A’s, I began to really understand personalization and why it met so well the leadership challenges of professional sports. Every team and every season has its own set of problems. By personalizing, I was creating a pattern of feedback that would address those problems – both big and small – that we faced as a team and as individuals. Together with the coaches, we would find the points that needed attention and craft messages to specific players, groups of players, of the whole team. In the process of personalizing these messages, we’d develop a number of “edges” that would help us compete individually and collectively. These edges ranked from the macro – team chemistry, handling adversity, making players’ families feel welcome at the clubhouse – to more individual issues like physical and mental toughness, feeling comfortable in pressure situations, emphasizing process over results and dealing with distractions. Depending on what needed to be emphasized in a given year, we would hone our relationships with the players to promote these edges as much as possible. Over the years I kept refining this personalization philosophy and formalizing how I’d apply it to my leadership responsibilities. Before I could ask the players to take personal responsibility, I had to personalize my own efforts. The theory is only powerful if it works in both directions. At the same time, personalizing with players never meant that everything they did was okay. We didn’t sign any blank checks. You’re kidding yourself if you think you’ll win players’ trust that way. You win them over with your honesty. In fact, one of the ways we’d shot this throughout the season was in how we reacted when they made mistakes. Whatever the problem was, we’d tell them what they’d done – whether it was throwing to the wrong base, making a bad turn, or laying back on a ball – and we’d deal with it as a fact not a judgment. We create an environment that recognized that mistakes would happen and would be corrected. 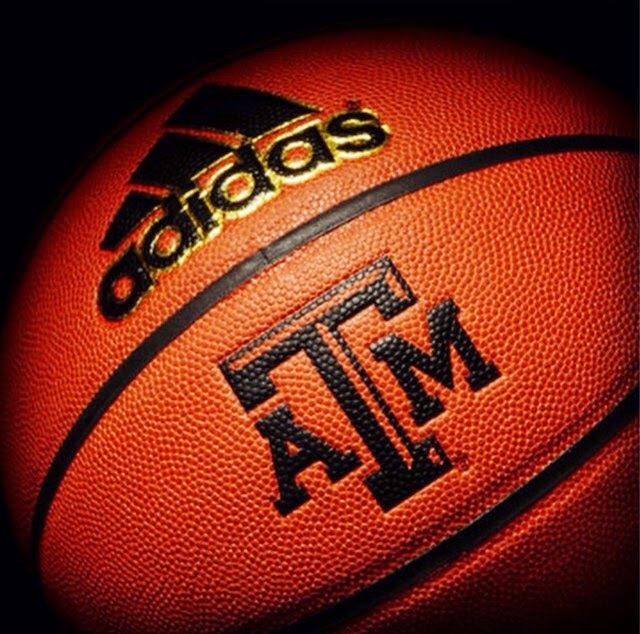 THE POWER OF YOUR "WHY"
COACH DON MEYER "QUICK HITTERS"